This past year, Pain BC has focused on helping people understand the role of untreated pain in the overdose crisis. A recent BC Coroner’s report indicates 56% of people who died of overdose sought care for physical pain in the year prior to overdosing. In November, we held a dialogue with key stakeholders from the health care, research, and substance use communities to explore the effects of untreated pain in the overdose crisis and to determine what we can do to address pain and save lives. We’ve continued working with the nearly 100 stakeholders we partnered with following our 2017 Provincial Pain Summit. Collectively, we’ve been advancing strategic priorities, including our goal of a provincial strategy for chronic pain. We’ve also focused on the development of key programs to support and empower people in pain and to provide education end engagement opportunities for health care professionals and researchers. In February 2018, we launched Coaching for Health, a phone-based lay-coaching program which pairs people in pain with health coaches who support them in making meaningful changes in their lives. Since its inception, this program has successfully paired coaches to 70 people living with chronic pain. Our education team has been busy with the development of Pain Foundations, an online course designed to address the challenges faced by health care providers when assessing and treating pain. Pain Foundations will be available to providers across the globe starting January 2019. 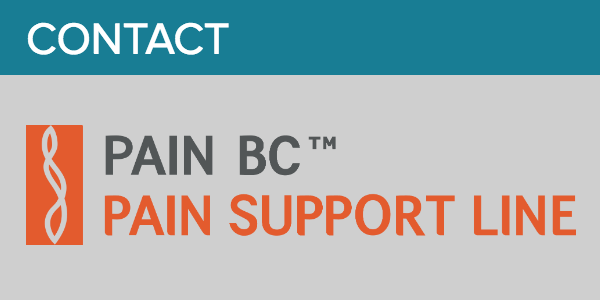 We’ve worked closely with the University of British Columbia to develop the BC Pain Research Network. The Network has brought together more than 100 researchers from BC to collaborate on pain research and bring new knowledge into practice and policy. While these projects are different in scope, our process for developing them has common elements: partnerships with key stakeholders, shared goals, prototyping ideas, evaluating them, and if they have a meaningful impact, spreading them. In 2019, Pain BC will build on this work and respond to emerging needs. Examples include the Acute Pain Advisor Pilot project with the Sea to Sky Division of Family Practice, through which we’ll help people with acute injuries identify the early warning signs of chronic pain and connect them with key resources. If the model is successful, we’ll look to spread it next year to ensure more people get the support they need to prevent pain from becoming chronic. We’re also tailoring programs – or designing new ones – to meet the needs of marginalized populations. A recent grant from the Michael Smith Foundation for Health Research has allowed us to hold focus groups with Indigenous, immigrant and refugee, and LGBTQ2S communities to gain an understanding of pain from a diverse range of perspectives. We’ll be able to apply this learning in our programming next year. Our first Low Barrier Self-Management Pilot Program, currently underway in the Downtown Eastside of Vancouver, will teach us about how to support self-management for people living in marginalized conditions. In 2019, we hope to collaborate with Indigenous health organizations to build a version of this program that is culturally safe and relevant for Indigenous communities throughout BC. Additionally, we'll be launching Project ECHO in 2019. Based on an established model of health care provider mentorship and support, it will bring together an interdisciplinary group of specialists who will meet monthly by videoconference to review patient cases and engage in pain management training with rural and remote teams across the province. Through this collaboration, we hope to improve the care people living with pain get in their local communities. 2018 has held a number of important accomplishments for Pain BC but there’s still much more to do. I’d like to thank you for your continued support. Whether you’re a person living with pain, a family member, a health care professional, a researcher, a policy maker or someone who cares about relieving pain – please remember that none of our work would be possible without you. Wishing you a warm holiday season and a happy new year! In this episode of the Pain Waves podcast, sound designers and researchers Mark Nazemi and Maryam Mobini talk to us about the benefits of sound therapy and how it can play a role in pain management. 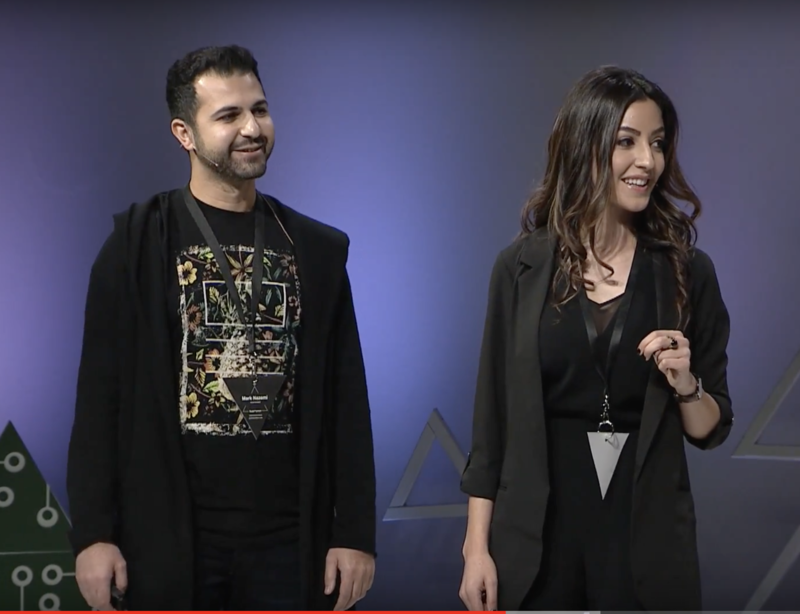 They also discuss developing their app, to:Resonate, a platform through which they will create and share music grounded in neuroscience to help people manage their pain. Living with chronic pain is difficult at even the best of times, but it can be especially challenging during the holiday season. Below are some resources that can help. Pain BC’s Pain Support Line can help by providing a safe space to talk about pain and its impacts on life; information on pain, self-management and community resources; help with filling out various forms; and much more. The Pain Support Line will be open during the holiday season from Monday through Friday from 9:00am to 4:00pm, excluding December 24, 25, 26 and January 1. Call toll-free at 1-844-880-PAIN or find out more. The Prevention and Early Intervention (PEI) is among the 10 working groups originally established from Pain BC's 2017 Provincial Pain Summit. A main objective of the PEI working group is to identify opportunities and suggest initiatives to prevent acute pain from becoming chronic. Pain becomes chronic when it persists beyond the treatment of a disease or healing of an injury, typically longer than three months. 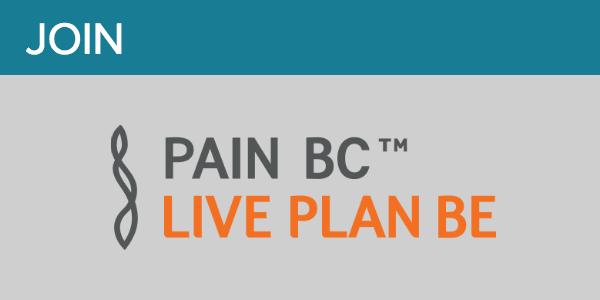 In collaboration with the Sea to Sky Division of Family Practice, Pain BC has recently launched an Acute Pain Advisor Pilot Project designed specifically to support people experiencing common sources of acute pain to reduce the likelihood of it becoming chronic. Patients who experience physical trauma in the Sea to Sky region are often young, active, and enter the health care system through a variety of settings: emergency rooms, walk-in clinics, physiotherapist and chiropractors' offices. Many do not have family physicians. This pilot project provides an Acute Pain Advisor (APA) in the Sea-to-Sky region to support local patients who have recently experienced broken bones, acute lower back pain, or knee or shoulder repair surgery. The objective is of the APA is to support patients through early intervention with the goal of preventing their pain from becoming chronic. 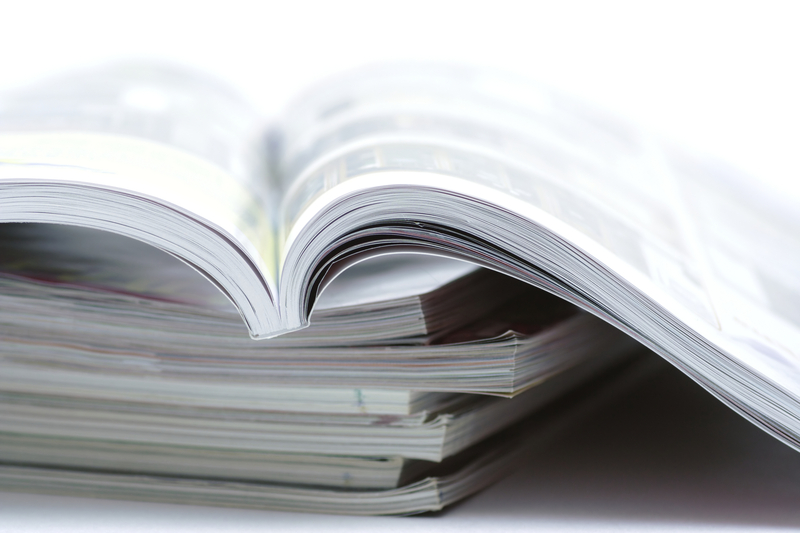 The APA provides these patients with education on pain and self-management, along with information about health care services, programs and resources that may help their healing. The patients are referred to the APA through the Whistler Health Care Centre Fracture Clinic and local physicians and physiotherapists in the Sea to Sky region. Patients are initially contacted by the APA weekly, then reduced to bi-weekly and monthly contacts for 4 months. Patients who show early warning signs of developing chronic pain may be contacted more frequently for up to 6 months. The APA pilot project launched on December 4th, with a goal of enrolling 40-50 patients with acute injuries to test the feasibility of providing an APA to help monitor their progress. If the pilot project is succesful, we'll look to scaling this model across communities in BC to support more people in their recovery from acute pain injuries. Pain BC's Coaching for Health program is looking for volunteers to join their team in 2019. If you're interested in empowering people to make meaningful changes for their health, find out more about the application process below. Volunteer training will take place in February 2019. The Indigenous Health Research Advisory Committee (IHRAC) is a working group of the Chronic Pain Network, whose work is funded by the Canadian Institutes of Health Research (CIHR). Indigenous populations have long felt uncertainty and distrust in participating in research due to past relationships with research teams. To rectify this, IHRAC is working towards facilitating the development of authentic partnerships and enhanced understanding between Indigenous communities and researchers. IHRAC is comprised of community members, Elders, patients, clinicians and health researchers from across Canada. HealthLink BC's 8-1-1 free support line is a great first stop for anyone looking for assistance with navigating the health care system, or when they have a question for a nurse, pharmacist, dietitian or exercise professional. Their navigation service is available in 130 different languages and the line is always available. HealthLink BC also has a BC Health Service Locator app, which can help with finding nearby walk-in clinics, hospitals, emergency rooms, immunization locations, after-hours pharmacies, and laboratory services. A workshop for occupational therapists interested in learning about the neurophysiology of pain and how it relates to OT intervention. A new program in Montreal called Homebase provides a safe space for men to talk about their pain and its many impacts on their lives, including isolation. Mothers share advice on how they manage parenting while living with a chronic illness. Patient advocate Chronic Eileen speaks to what it's like living with arthritis and how she manages her chronic illness as a single mother. Chief Coroner Lisa Lapointe touches on the recent communication campaigns to prevent overdose crisis and how fear-based initiatives are unlikely to be effective at reaching their target audiences. Canadian doctors are concerned that an opioid medication recently approved by the FDA in the US will do more harm than good if similarly approved in Canada. Pain BC's Executive Director responds to the debate on high-dose opioid medications and highlights how it's impacting people with pain.